By challenging traditional business practices insurance executives can identify new ways to promote growth, profitability and sustainability. Insurers can only achieve competitive agility if their executives challenge their companies’ traditional business practices. They need to scrutinize current practices and explore new ways of promoting growth, profitability and sustainability. Such questioning should balance the benefits of traditional business approaches with the potential of emerging digital technologies and the promise of fledgling markets. How is our market likely to be disrupted? What will trigger this disruption? How will it affect our operating models? Have we built our business around the needs of our customers? How are these needs likely to change? Do we have the culture and capabilities to defend our core revenue streams while at the same time changing our business to meet shifting market conditions? Have we clearly defined our business activities and goals? Is our value proposition still relevant? Are our investment decisions informed by critical insights and data? Do they enhance the value of the business? To bolster profitability within an integrated strategy it’s vital that insurers strive to reduce costs. By cutting expenses that create no value for the business, insurers can release funds they can reinvest to fuel growth. 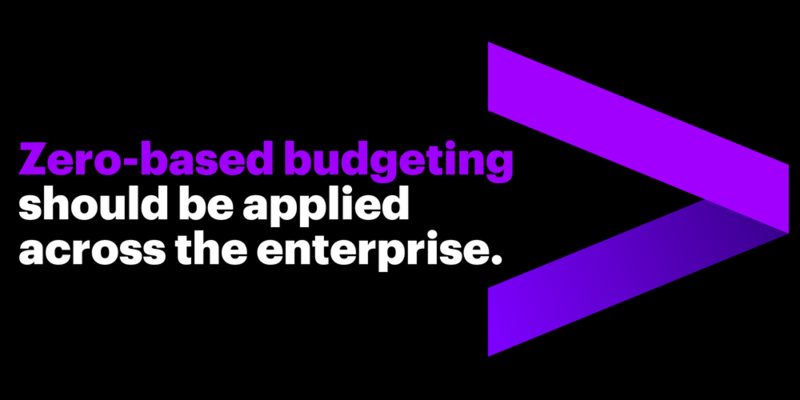 Zero-based budgeting (ZBB) should be applied across the enterprise. Are all cost-cutting initiatives tied to specific growth goals? Does everyone in the organization understand these goals? Which activities, processes and resources add value to our business? Which don’t? How can we design our organization to support the future needs of the business? Can we see clearly, by using tools such as analytics, how much each part of our business is spending? The growth and profitability of a business are tied closely its sustainability. The spread of digital technology has exposed organizations to the scrutiny of not just shareholders and regulators. All consumers now have insight into the conduct and performance of major product and service providers. If a company breaches the trust of its customers it will struggle to grow and remain profitable. How can the business increase profitability and growth but use fewer resources? What new business models that support the “circular economy” can be used to drive growth? How can the business create value and make a positive contribution to society and the environment? How can this contribution be measured and communicated? In my next blog post, I’ll discuss some of the big obstacles that can hamper an insurer’s quest for competitive agility. Until then, have a look at some of these links. I think you’ll find them useful. Increasing agility to fuel growth and competitiveness. Taking the agile transformation journey. Formula Won: A new way to measure corporate competitiveness. Disruption need not be an enigma.